“Before the Rain” (watercolor painting on 7″ x 9″ watercolor paper). This little piece is completely made up. I was experimenting with a new set of Japanese watercolors. 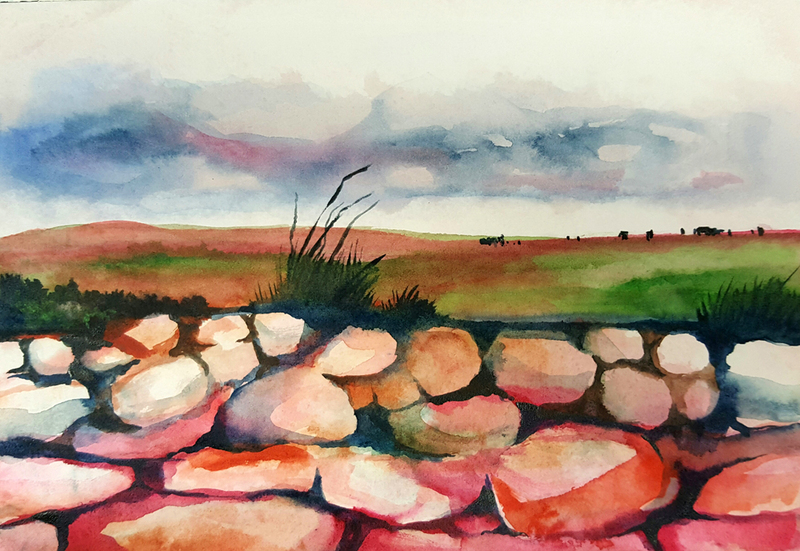 The painting started as a few washes and worked itself into a rock wall and a landscape with cattle grazing in the distance.